As usual, you found the perfect papers, Nina! Just love the snowmen paper layered with the snowflake paper - so rich with the red!! 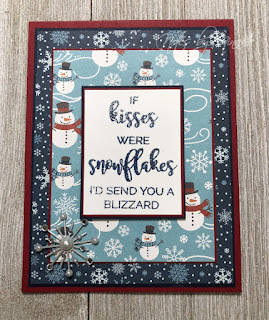 Oh I think that sentiment is awesome and perfect to be center stage on your card with all the fabulous pattern paper around it! Hope you have a very Merry Christmas! What a fabulous sentiment to highlight that adorable paper?!? !Another work of art!!! 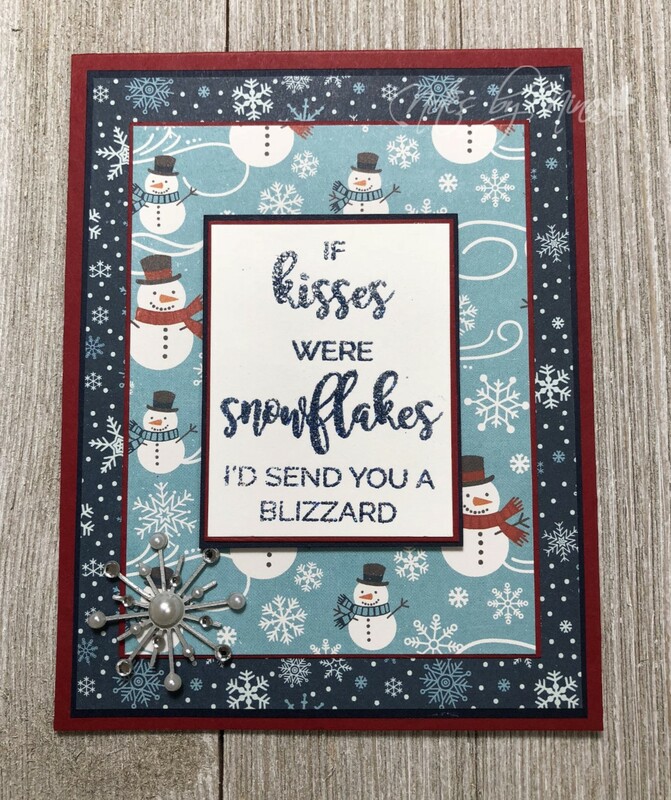 Great sentiment with that cute snowman and snowflake paper. Great sentiment and amazing patterned paper. I love you pattern paper selections. Have a great week. What a cute sentiment surrounded by those lovely pattern papers, Nina. Have a great weekend. 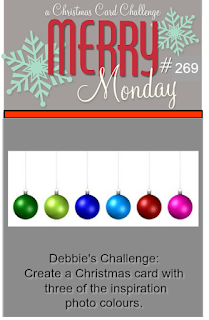 Really like that background DP...and you made a beautiful Christmas card using it! Perfect layers and colors Nina. The papers are so pretty! What a fabulous sentiment!! I love the fun paper you used in your layering! LOVING the soft blue and navy blue together! And that pattern paper is super sweet!